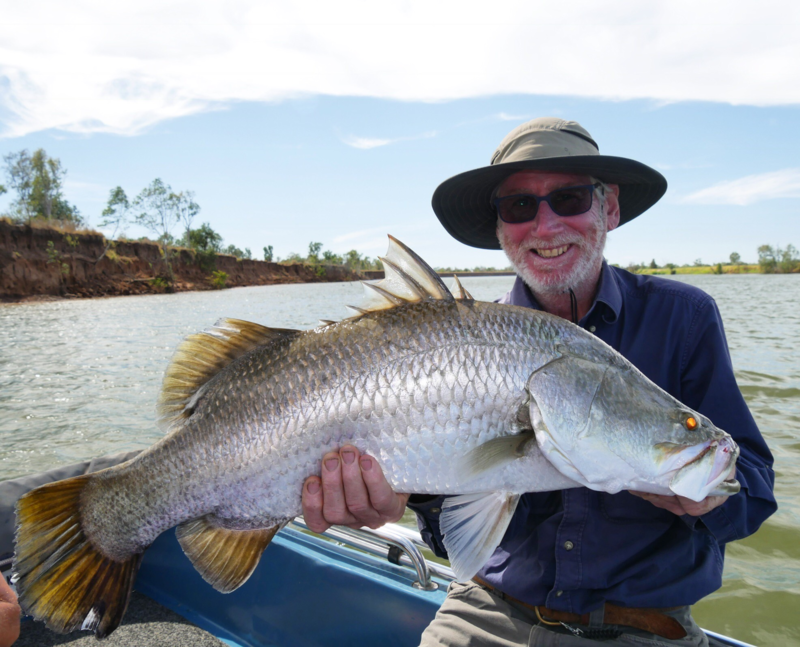 1/2 Day Upper Ord River Fishing Charter. Explore the picturesque Upper Ord River while chasing freshwater Barramundi. Lake Kununurra. This tour combines a blend of sightseeing, exploring, swimming and fishing. This 55km freshwater stretch of the river which is fed by Lake Argyle is simply stunning and provides an incredible backdrop for those who love to capture a photo. Collection from your accommodation at 0630am returning 1100am. Morning Tea, cold water, soft drinks and snacks for you to enjoy on the water. Great photo opportunities of gorges and birds – dont forget the camera & your swimmers. A marvellous way to wrap up your day. 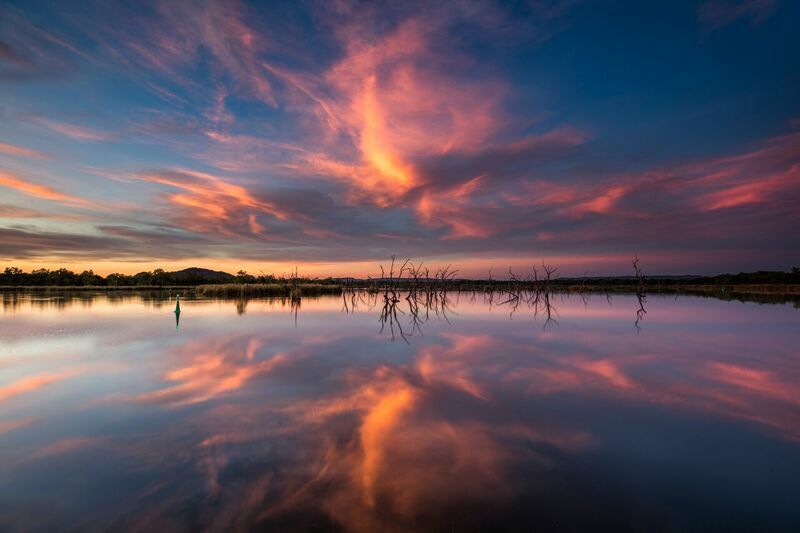 Experience the beauty of a Kimberley sunset from the boat whilst you relax on Lake Kununurra before heading for dinner at the iconic PumpHouse Restaurant. This personal charter will give you the chance to capture the perfect photo of the spectacular sunset colours, before your waterfront arrival by boat at the PumpHouse. Enjoy a 3 course meal and an evening to remember – this is the complete luxury package. Collection from your accommodation at 1630pm and return transfer after dinner. Cold water and sunset drink for you to enjoy on the water. Three course meal at the PumpHouse Restaurant – NB drinks at own cost. Our day of adventure! 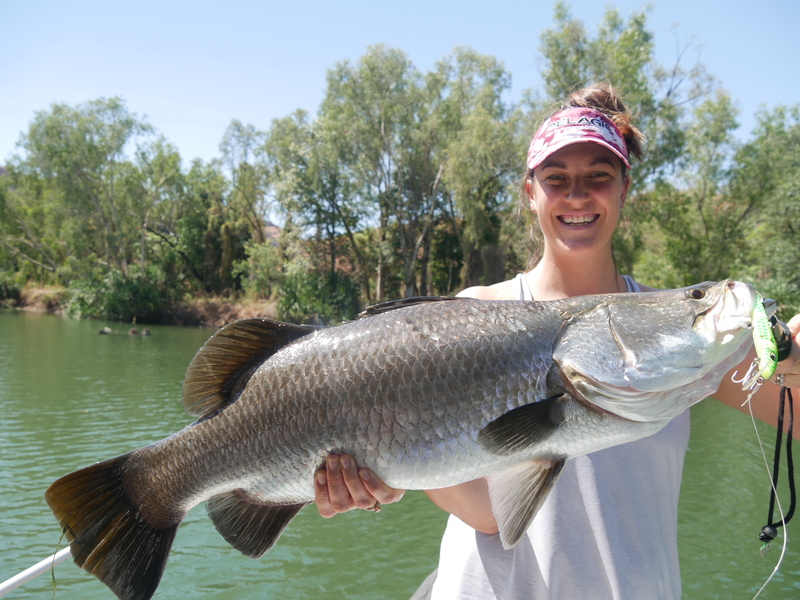 Fishing the Lower Ord River we take you to all the right spots to catch your first Kimberley barramundi. Departing Kununurra we travel over the famous Ivanhoe Crossing before launching in the picturesque Lower Ord River. 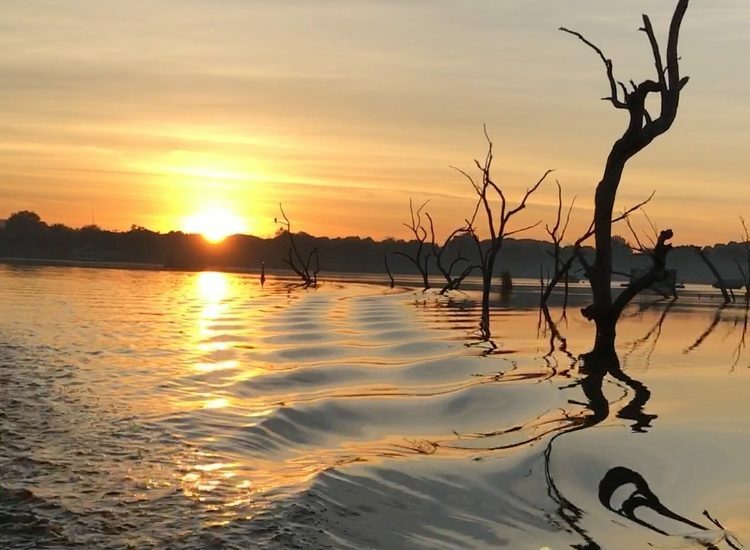 We then venture downstream in search of the elusive Barramundi; this stretch of the river is also home to some of the biggest crocodiles in the region and great birdlife. Collection from your accommodation at 0600am returning 1300pm. Morning Tea,packed cut lunch, cold water, soft drinks and snacks for you to enjoy on the water. Chance for a photo of the elusive saltwater crocodile – No swimming, but bring the camera. A barramundi you catch filleted and bagged for you to take home. A full day exploring that combines fishing with the chance to visit the iconic El Questro station or Home Valley station on the Gibb River Rd. 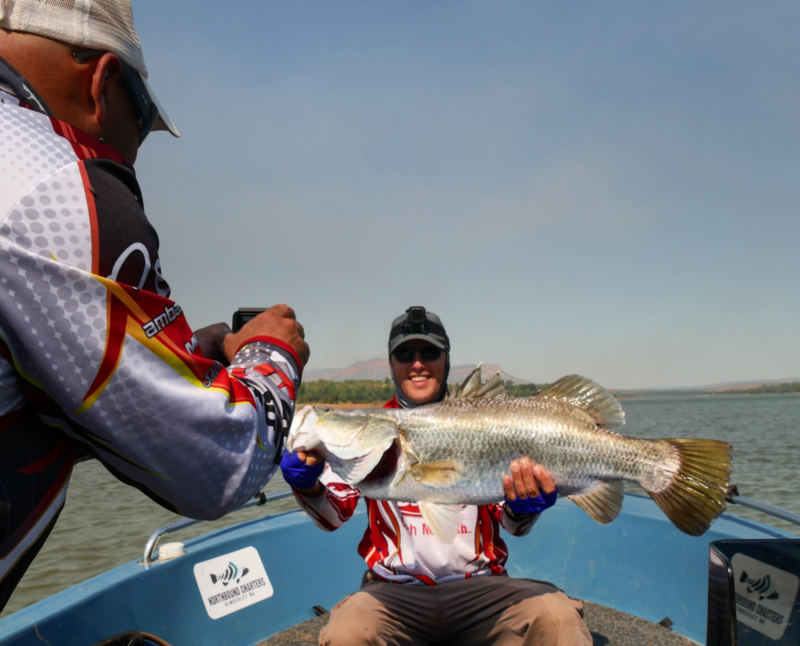 A great combination for those keen to test their fishing skills, before cooling off swimming at Emma Gorge or spending a relaxing afternoon at Home Valley’s iconic Dusty Bar & Grill where you can also enjoy the pool. We finish this adventure with a late afternoon drive home along the Gibb River Rd so be sure to bring your camera to capture the vista of the Cockburn Ranges and iconic Kimberley Boab. Collection from your accommodation at 0630am returning 1600pm. Cold water, soft drinks and snacks for you to enjoy on the water. Lunch at HV8 or Emma Gorge dependant on tour. N.B. 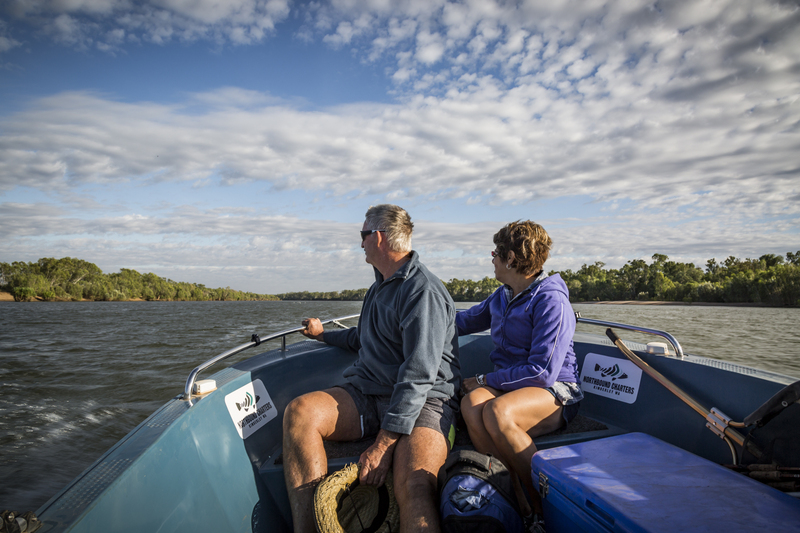 If you would like to skip the fishing and instead enjoy a scenic cruise on the Pentecost River we can cater to your preferences. 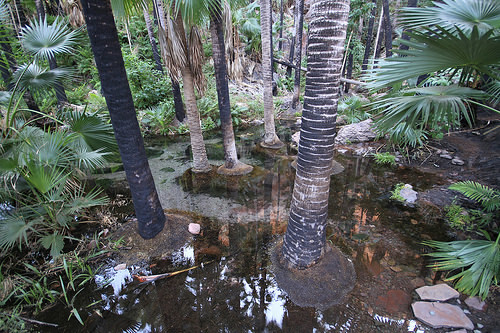 Our early morning tours are a great way to finish a visit to the Kimberley. Explore Lake Kununurra and enjoy sipping a hot cup of coffee while wetting a line, looking for birds, snapping photos or jump in for a refreshing swim. Soaking up the majestic sunrise colours from the water is a beautiful memory of the Kimberley to take home with you. Collection from your accommodation at 0600am returning 0900am. Hot Coffee/Tea, cold water and snacks for you to enjoy on the water. Great photo opportunities to catch that rare bird – don’t forget the camera & your swimmers. We love the flexibility of catering to small groups and are always keen to expand our own horizons. 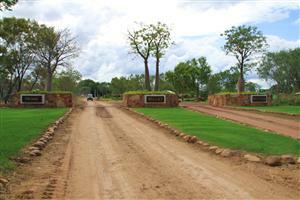 We live and breathe the Kimberley, and you as our guest are guaranteed a genuine and authentic Kimberley experience. The Kimberley covers an area of 423,000 sq kms and every pocket features breathtaking scenery, flora and fauna unique to the area. Northbound Charters can help transport you on our vast waterways to spot that rare bird or capture the perfect image. Birdwatching is available if you know where you want to go, or allow us to tailor something to your specific requests. Custom itineraries are available, and we are happy to tailor our tour options to suit our guests. 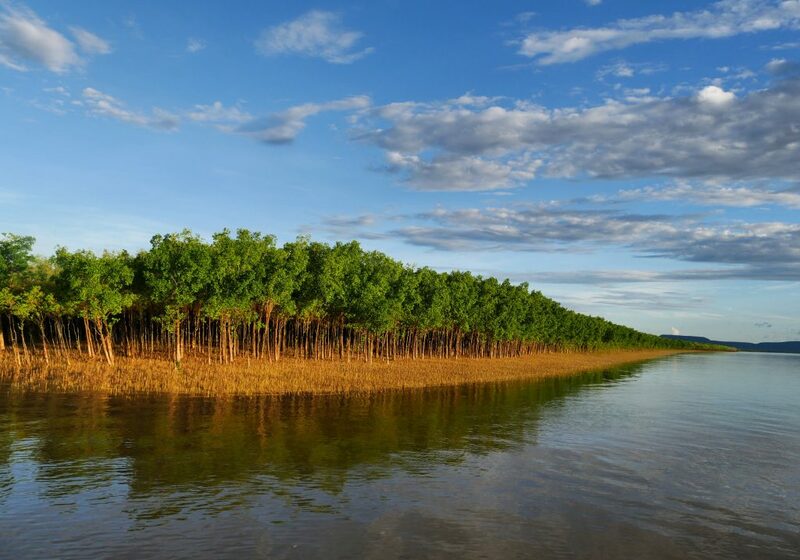 Whether it is an early morning explore before flying out of Kununurra or an extended Fishing Charter accessing some of the more remote waterways, Northbound can help. Just give us a call and we will make sure you have a Kimberley experience you will never forget. Ebony and Andy of Northbound Charters regret to advise that due to urgent and unexpected family commitments, we will not be operating our fishing, birdwatching or sunset charters in the 2016 season. For 2017 enquiries or commercial marine charters please call Andy on 0438 929 577 or email adventure@141.252. 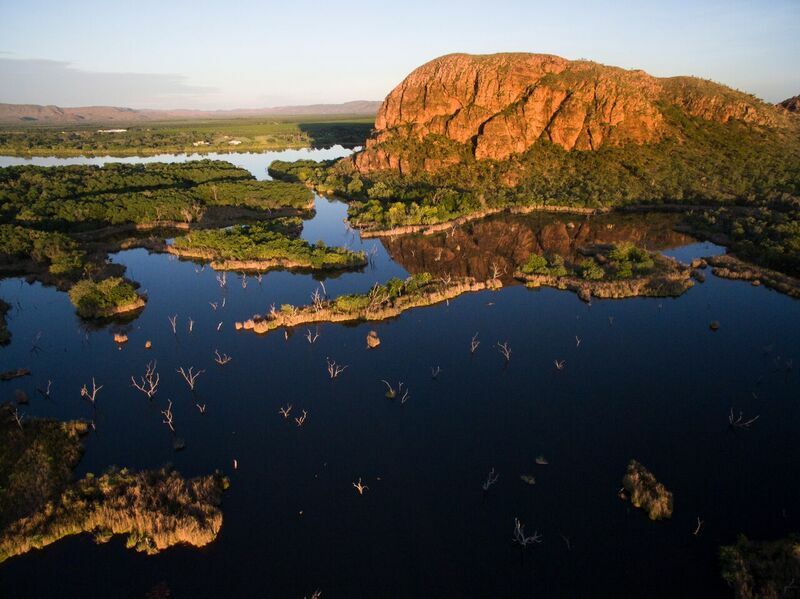 For alternative touring and charter options please contact the Kununurra Visitor Centre via www.visitkununurra.com. © 2019 Northbound Charters, Kimberley WA.